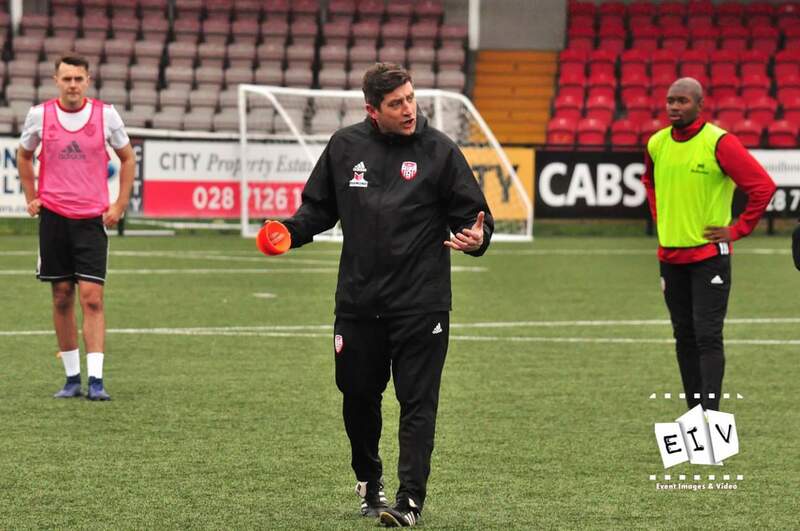 Declan Devine has confirmed a number of friendlies for his new-look Derry City squad as preparations continue ahead of the 2019 season. The Candystripes will be in Drogheda on Tuesday night for a game against Tim Clancy’s side before welcoming Finn Harps to the Brandywell on Friday. City will then head to the Isle of Man next Monday for a short training camp which ends on Wednesday night with a game against the hosts’ national team in Douglas. The Derry boss confirmed that two new trialists will join the squad for this week’s double-header; Mamadou Guirassy, a 23-year old French-Guinean striker and 22-year-old Scot, Mark Russell, who is a left-sided defensive midfielder. Those two bring the number of new faces in the Derry squad expected to travel to United Park on Tuesday night to 12. “It’s a quick turnaround for us but it will be a good chance to give the whole squad some game time over the next ten days” said the Manager. Listen to the thoughts of the manager in full on our SoundCloud account.